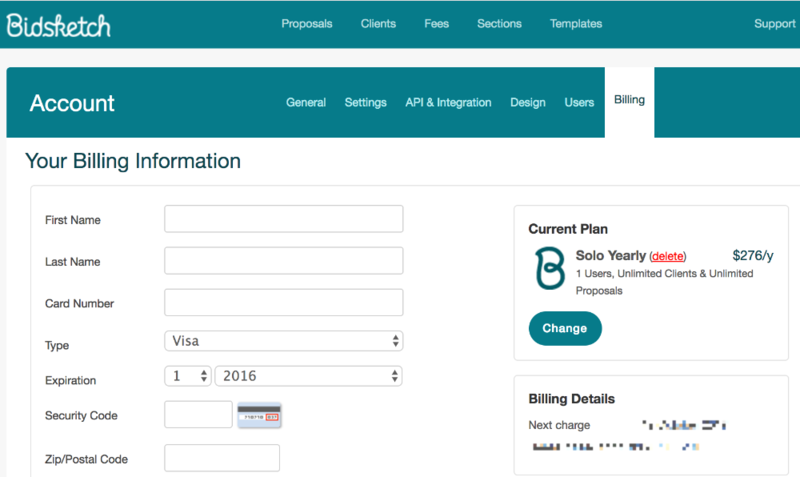 Updating your billing info is easy, and you can do it right from your Bidsketch account. Just go into your account settings, and into the Billing tab. To update your billing info, just fill in the fields on the left, and click "save." That's it! To renew your account, you'll do the same thing; just put in your current billing info (into the fields on the left), and click "save." Now you can get back to creating winning, professional proposals!